The shell came in low and straight, eight hundred metres a second and closing. 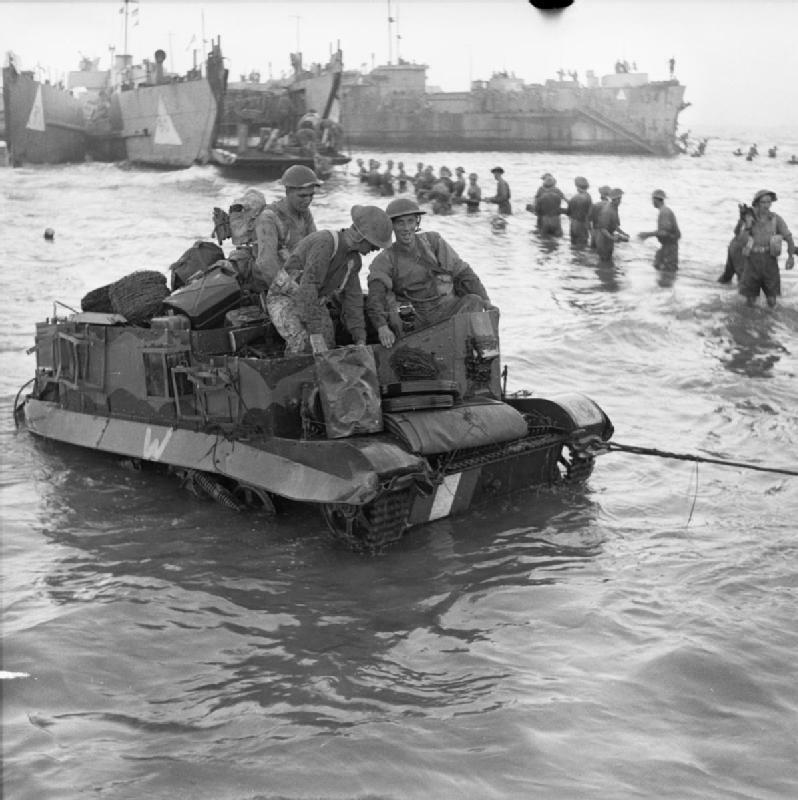 It sped over the beach cutting between the loose formations of soldiers and slammed into its target-a Sherman tank. The explosion shredded the tank’s track, leaving it dead in the sand. Inside the protected armoured hull the crew were okay, but they knew they were in trouble. Without a track, the vehicle wouldn’t move, a hulk of metal out in the open for all to see. The crew, experienced with three years of war, would have known what would come next. In a couple of seconds the German crew would reset the sights on their gun, rest the cross hairs on the tank and send another armour piercing shell downrange. Perhaps in their last seconds the tank crew fumbled to undo the hatch. Maybe they even got the hatch open. Maybe a final prayer or two were mumbled. Their lives ended when nine kilograms of high explosive slammed into the turret. His position in the hull of the tank shielded him from the worst of the explosion. He was the driver and he was my grandfather. The rescue crew pulled William Findlay Smillie from the burning wreck, unconscious and bleeding. He had shrapnel wounds across his body and it appeared he would lose his arm. 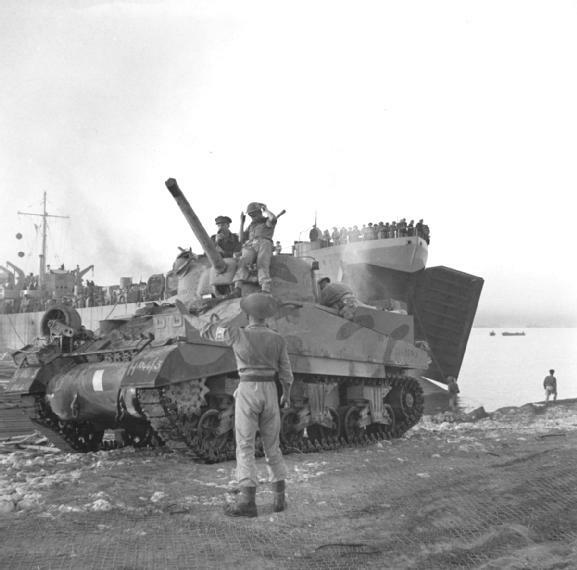 My grandfather’s Sherman had been one of the first to the hit the beach on July 10, 1943. That day was D-day, not the famous one rather the allied amphibious invasion of Sicily. Years later my grandfather told me about that day. I wish I had asked more questions, perhaps took better notice. 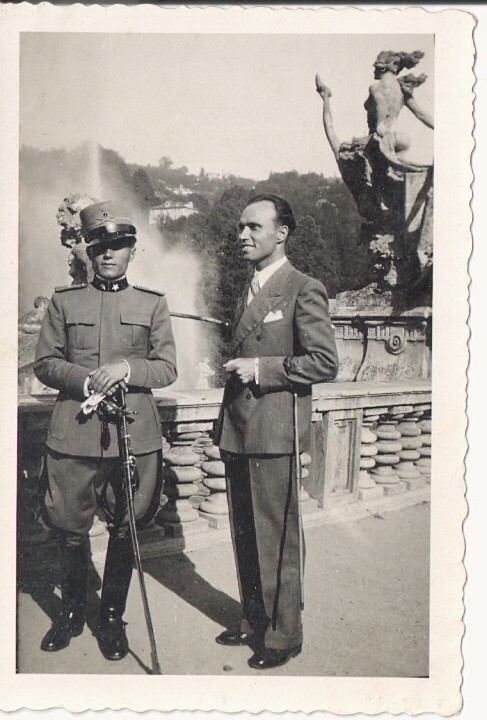 And what I recall adds another mystery to the search of the identity of the Italian soldier in those photographs. You see, that packet of photographs survived that burning tank to travel 70 years through time to end up in the draw of my desk. Those photographs might have survived a couple of other misadventures on the way. My grandfather fought with the Eighth army. 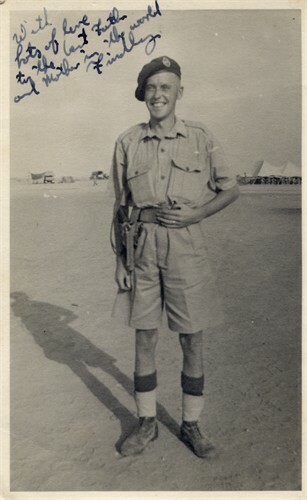 He helped turn Rommel at the Battle of Alamein and had chased him through the desert, right to Tunisia. Then he boarded a landing ship for Sicily. 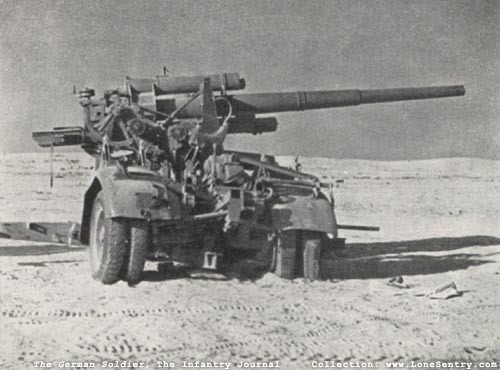 He believed the shell that hit his tank on that beach was fired by a German 88. The invasion didn’t go well. Paratroopers who were meant to secure the beach heads were blown off course. Then not long after getting onto the beach the 88 picked off my grandfather’s Sherman. For my grandfather the war was now over. But just where were those photographs? Were they in the pocket of his tunic? Surely they would have been taken when he reached the hospital. But William Smillie’s war wasn’t over, just hours after been pulled from his burning tank, my grandfather headed for another brush with death. This entry was posted in Smillie family history, The search for the Italian officer, world war two and tagged 22 Infantry Division Cacciatori delle Alpi, Accademia Militare di Artiglieria e Genio di Torino, Accademia Militare di Fanteria e Cavalleria Modena., invasion of Sicily, Italian POW, world war two. Bookmark the permalink. 2 Responses to The search for a soldier without a name (part 5)-the mystery. did your grandfather live in southern California? My grandmothers maiden name was Smillie and had a brother named Bill. I only met him a few times at his house in southern California. My faters name is Allan Wilson and he has a brother named Brian. they are from Kilmarnoch, Scotland.